1) Click on "Your Plans." 2) Search for the plan you want to create a copy of. 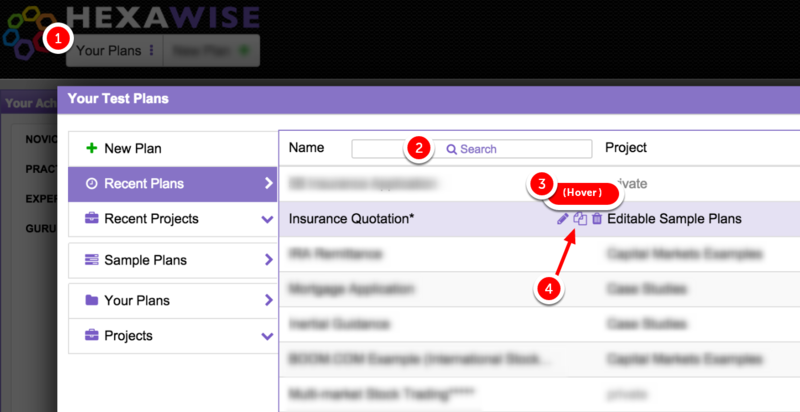 3) Hover to the right of that plan name to pull up the 3 purple tool tips. 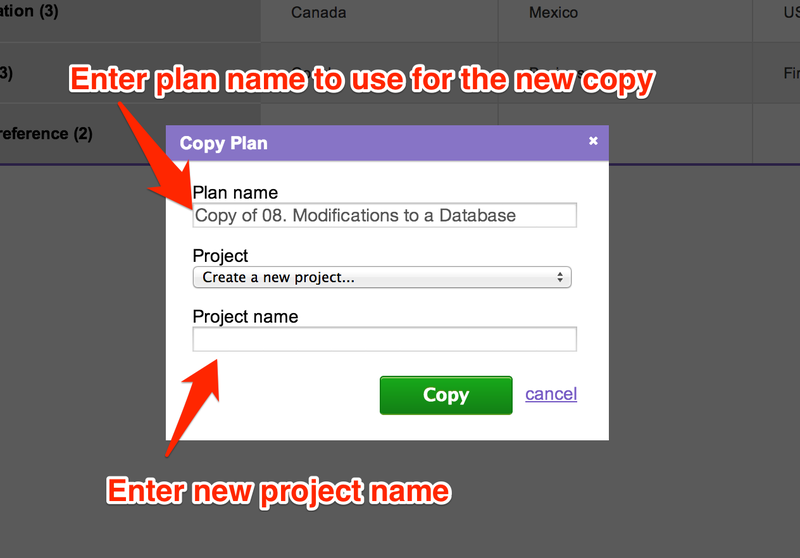 4) Click on the "copy" icon as shown below to create a copy of the plan. 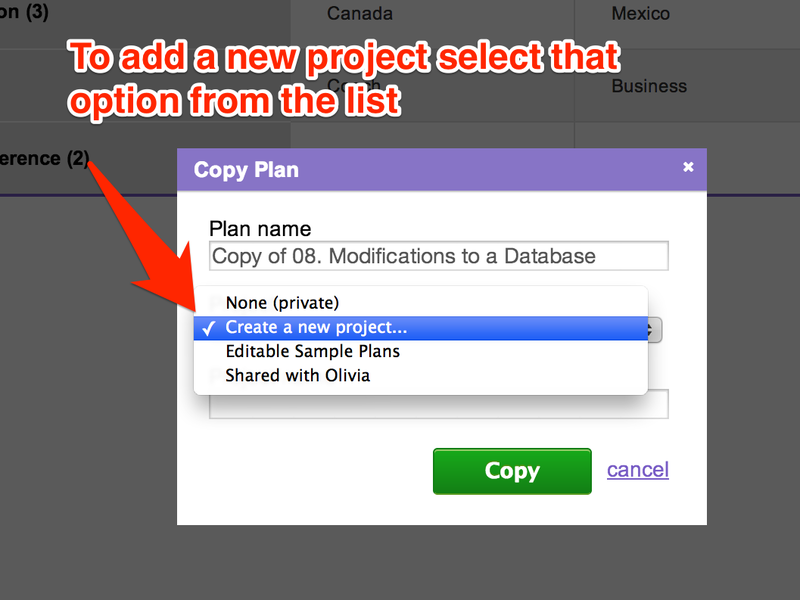 Input the name for the new test plan and select the project to put the copied plan into. 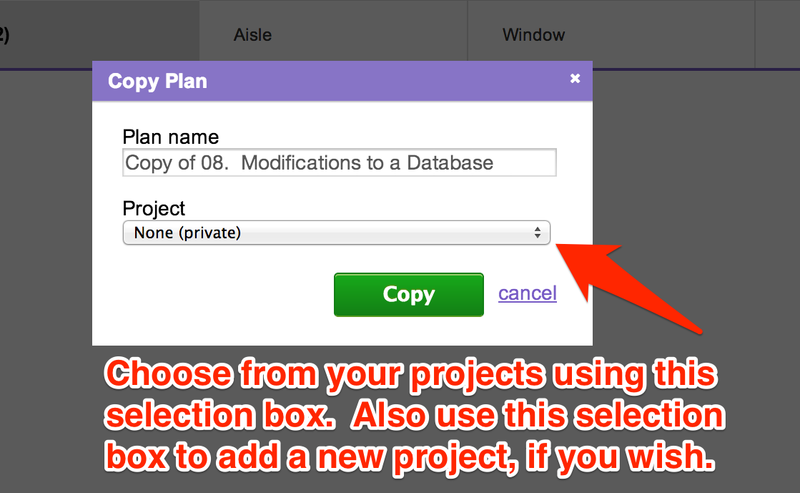 You can create a new project by selecting "Create a new project...," and typing the name on the popup screen. The copy of the plan is ready to be used in the project you specified.